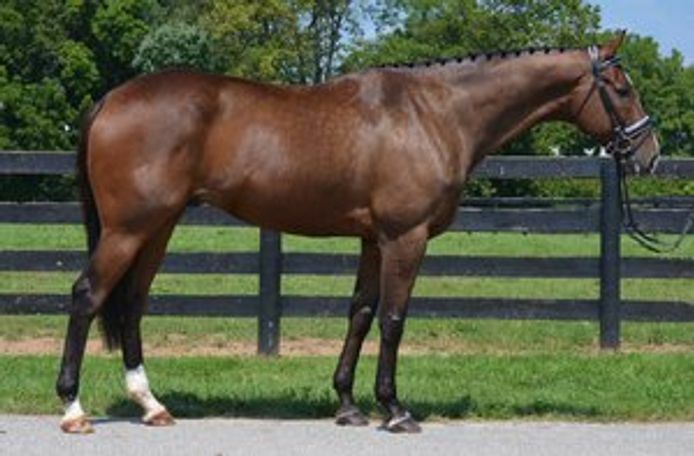 Big-boned, tall and gorgeous gelding. This boy has presence and gorgeous movement. He would excel in the dressage ring. He has done one dressage schooling show. Due to a running injury on my part, and the winter wet weather, he has had time off this winter and will be slowly brought back up. His price will increase with increased riding. 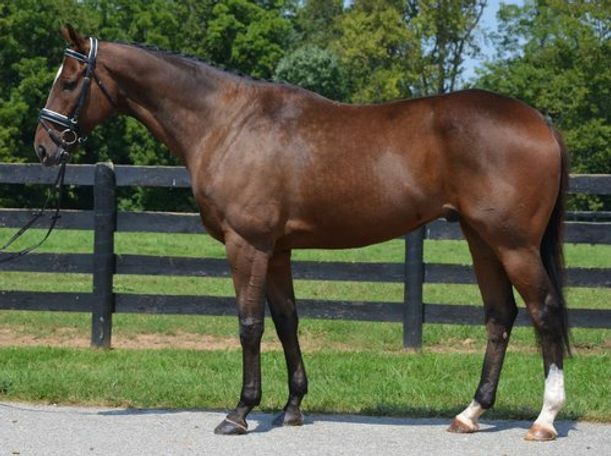 This horse came through the Maker’s Mark Secretariat Center as a Legacy Horse (upper-level prospects). 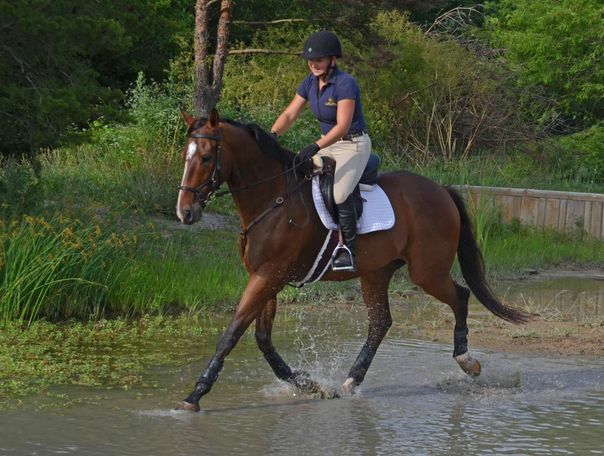 While he was at the center, he had education on all phases of riding, including dressage, trail riding, jumping, and a little cross country as well as extensive ground work including ground driving. He has been ridden all over the Kentucky Horse Park. I bought him as a jumping prospect. 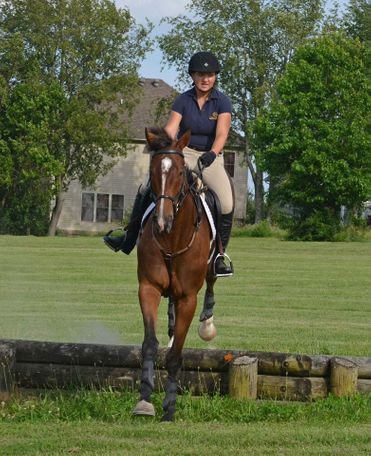 As you can see from the video, he had a great start over fences and was doing well. However, I more recently found out that shortly before I got him, he lost his confidence with jumping. I didn’t realize this until I already had him home. 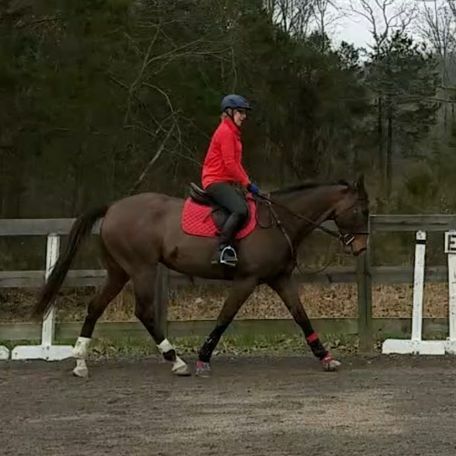 So after a few attempts, we decided to just focus on flat work and not jump him at all for six months. 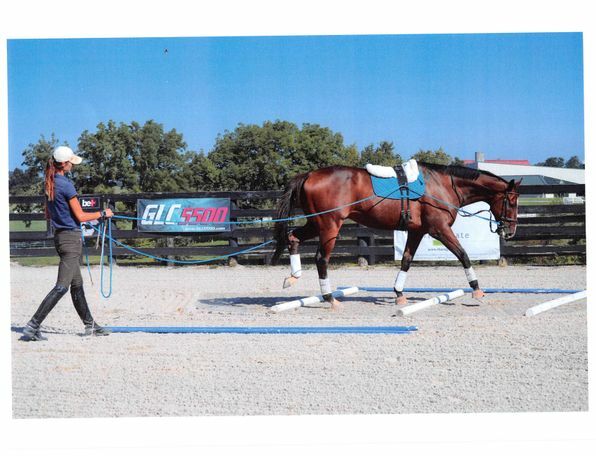 We did this, and have since taken him over some cross rails and he was much better, but then I had my injury and he has been off regular work. 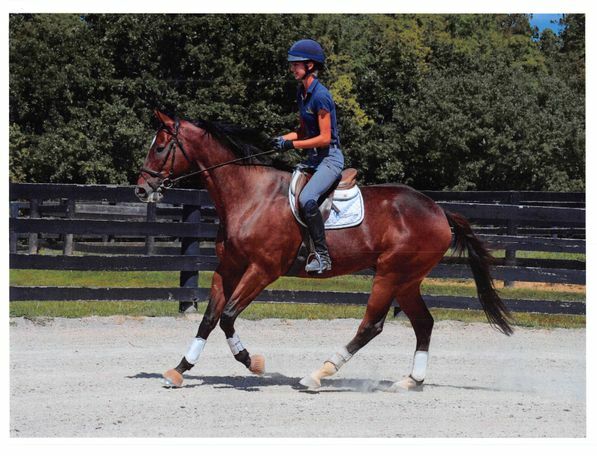 So at this point, I am looking to sell him as a dressage prospect. For h/j, I would only consider selling him to a home where someone will work with him very slowly and not expect him to jump immediately. Since he is a very big boy, he can be intimidating to the timid rider. He is not an affectionate horse, more work-man like. 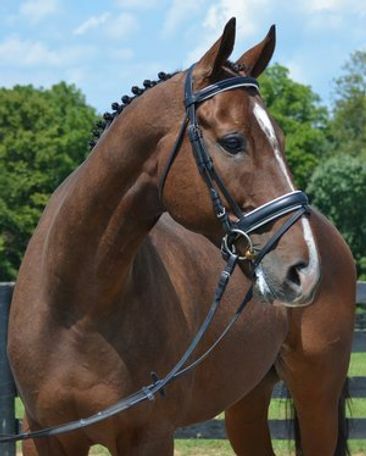 If you want a cuddy-bunny type horse, he is not the horse for you. 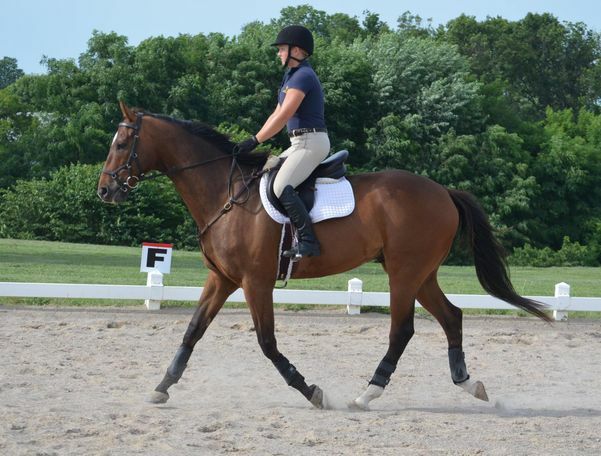 If you want a good ride on a horse with a lot of potential, come see him. He would do excellent with a confident rider and/or a trainer. He is sound and on no maintenance. He is not overly spooky or silly.